Rovio, the creator of mobile gaming hit Angry Birds is considering investing in Russian start-ups in a bid to diversify by buying into interesting projects around the world. ­The Finnish developer’s founder Peter Vesterbaka says his company is now looking for challenging projects around the world particularly in the gaming sector, citing as an example the launch of “Amazing Alex” – a new game due out this summer. 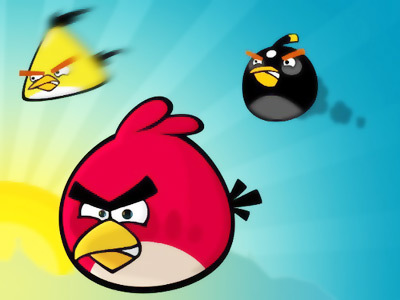 “This year, the number of downloads of Angry Birds exceeded one billion compared to several hundred million last year. We have already found some interesting projects for investment in Russia though we cannot disclose what they are so far,” said Vesterbaka in an interview with RBC Daily. In 2011 the turnover of the market for mobile applications in Russia increased by 30-40% to 30 million dollars, according to the CEO of Alawar Games Alexander Lyskovsky. Moreover, the bulk of revenue comes from free-to-download applications where users pay only for updates necessary to progress in the game. Lyskovsky agrees that the Russian game developing market has a lot of good teams that produce a variety of games. "We are in permanent search of interesting projects and once we find it we pay for a particular product. About 30% of global casual games are made in Russia. Our company is now working with more than 70 teams, " says Lyskovsky. Experts in the industry say there are plenty of young talented developers in Russia, but investors are often driven away by domestic imperfect legislation and piracy control. Industry players agree that Russia’s red-tape and no system of grants for potentially profitable projects hamper the development of the promising game making sector in Russia. “Intellectual property rights are not properly protected here forcing investors to give their preference to countries in Eastern Europe and Asia, where the legal protection is stronger,” said marketing manager for the Russian subsidiary of Electronic Arts, Alexander Kozhevnikov in an interview to RBC Daily. The Russian mobile games market is still developing and far from saturation. “Rovio is an attractive brand, but to succeed on the Russian market, it’s essential to know its specifics –something foreign companies cannot boast," says Patsai.